Music lovers; they’re everywhere, and there may just be a superfan inside your own home. As each year rolls around, and Christmas passes along with birthdays and anniversaries, it can feel like you’ve exhausted present ideas for the music lover in your life. So, get some helpful tips and suggestions from over the course of this article and surprise that special someone with a themed gift you can be sure that they’ll adore. Now, it should go without saying but music is hugely expansive and music tastes can be really rather niche, so always check what genre this person is into, and make sure that they haven’t already got the gift you’re looking for at home. Who doesn’t enjoy getting dressed up and going to the theatre to feel fancy and to immerse yourself in culture? The answer is probably not very many people at all. So, if the music lover in your life doesn’t fall into this small category, then you’ve got your first idea for the gift that’s going to please them. 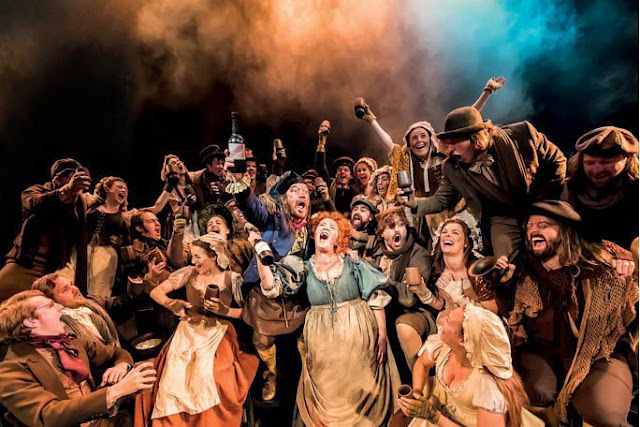 Musical theatre tickets can sell out extremely quickly, so begin looking at the bevy of performances ahead of time, and work which you think would appeal most to them. If you’re not one hundred percent sure, then drop hints and ask questions designed to squeeze the much-needed informative answer from them. Once you’re armed with the answer and you’re sure that you’ve chosen well, then you can purchase tickets ready for the show. These devices are small but mighty, and they can make bathing and showering that little bit more enjoyable – if you can believe that’s even possible once you’ve lathered yourself in deliciously scented shower gels and body washes. Everybody knows that this is a time for retreat, relaxation, and a means to calm down after a long and demanding day, so think about making this experience even more enjoyable for the music lover in your life and bring the music to them. Think about planning a surprise for them, and ensuring they’re out of the house long enough for you to get to work in decorating their music hideout, like their inside study or outside shed space, for example. In order to execute this well, you will have to begin getting the plans in motion well ahead of time and sorting posters, frames, and individual gifts. There’s no real limit to the fun you can have while doing this, and you can get exceptionally creative in your approach to designing mugs, placemats, chairs and stools, and personalised plectrums, for example. Budget permitting, look to see when their favourite bands and artists are touring and when they’re going to be close to you. If, unfortunately, they’re not going to be in town anytime soon, then consider looking at flights to the nearest venue and while you’re there assess how much it might cost you to stay in local accommodation as well. This could be the perfect gift if you’re celebrating a special occasion such as an anniversary, or a birthday, for instance.